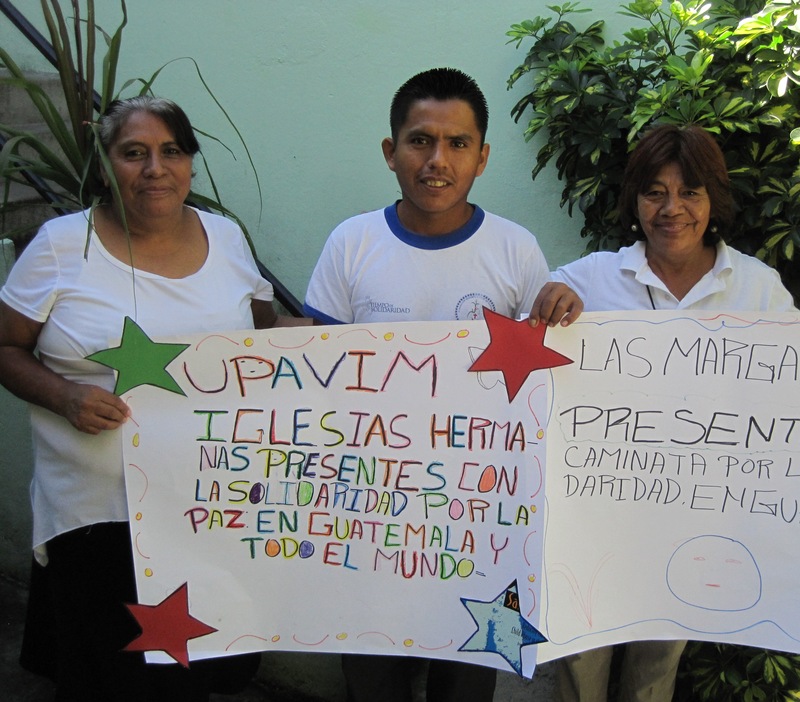 On September 29th, approximately 30 people from Sister Parish communities in Guatemala participated in the second annual Solidarity Walk. During the walk, participants expressed solidarity with migrants, people living with all forms of violence, other sister parish communities, and all those who work for a more just and peaceful world. This year, the walk’s themes included hope, friendship, solidarity and sister songs. We walked down Sixth Avenue and sang the opening song, “Juntos como hermanos”. Throughout the morning, representatives took turns reading from the Bible and reflections gathered by staff. The group heard the story of the Good Samaritan and words from the book of John. At one station, we were moved by the quote from one of Oscar Romero’s famous homilies, in which he speaks of wanting to be the “voice of the voiceless”. We remembered all who have given their life in the pursuit of social justice with a moment of silence. Regional Coordinator Brian Tyler created a video slideshow of the Solidarity Walk to share with our network (password is “churches2012”). At the Solidarity Walk’s final reflection stop, we read the names of our sister parish communities and sang the song, “Dios está aquí (God is here)”. 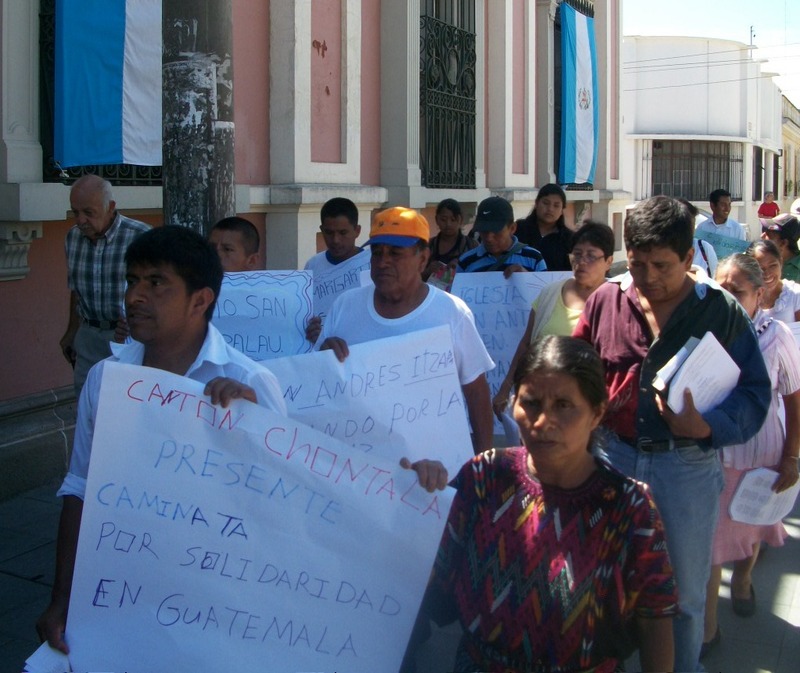 Members of the Guatemala Directiva hold up their signs for the Solidarity Walk. We know that many of our wider sister parish community members, both northern and southern, were with us in spirit that day. In the days leading up to the walk, many US Sister Parish members pledged money in support of the Guatemala Solidarity Walk. All the money raised by the Guatemala Walkers will go toward paying for operational costs that directly benefit the Guatemalan communities. You can still donate and support their walk here. 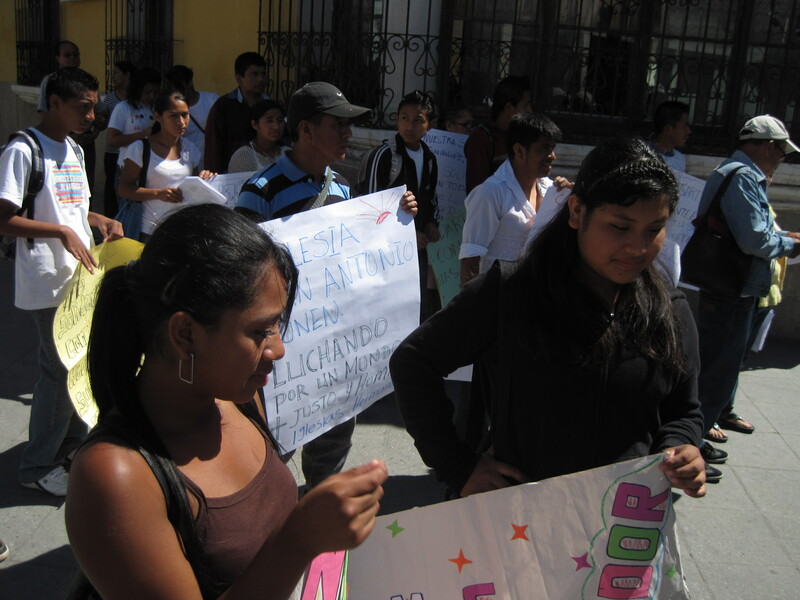 This entry was posted in General, Guatemala, Solidarity Walks. Bookmark the permalink.